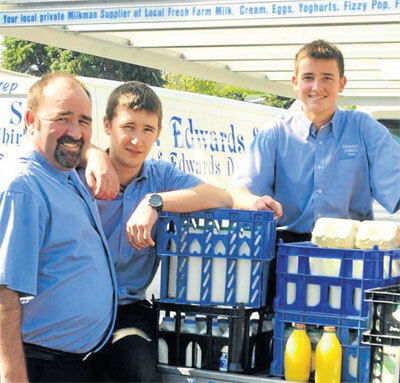 Edwards Dairy is a family run company that has been delivering milk and fresh food in the Chirk area for over 50 years. We started out as a single milk round but today we deliver to hundreds of homes and businesses in and around Oswestry, Ellesmere, St Martins and Wrexham. And now the third generation of the Edwards family is a partner in the business. You can find out more about how we grew on our history page. And much more, all from local suppliers. We also have our own shop at Black Park, Chirk. See our contact page for more information. And don’t forget to like us on Facebook.